San Francisco startup Ripple Inc. is reporting an uptick in sales for a cryptocurrency core to its product suite. 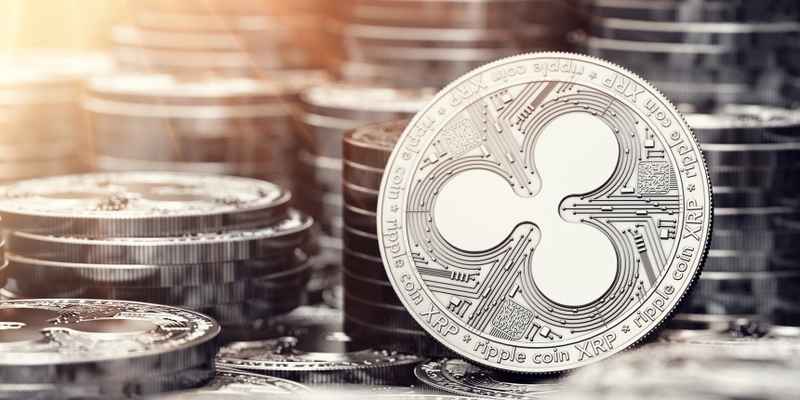 According to a post on the firm’s site, released Wednesday, the company sold $167.7 million worth of XRP in the first three months of 2018, an increase of 83 percent compared to the previous quarter and of 2,400 percent compared to the first quarter of 2017. Ripple has long been closely associated with the open-source XRP Ledger, a technology on which it has built tools aimed at enterprise businesses. The company further said direct sales of XRP totaled $16.6 million – a decline of 17 percent compared to the previous quarter. Programmatic sales of the cryptocurrency more than doubled, on the other hand, rising from $71.5 million to $151.1 million. 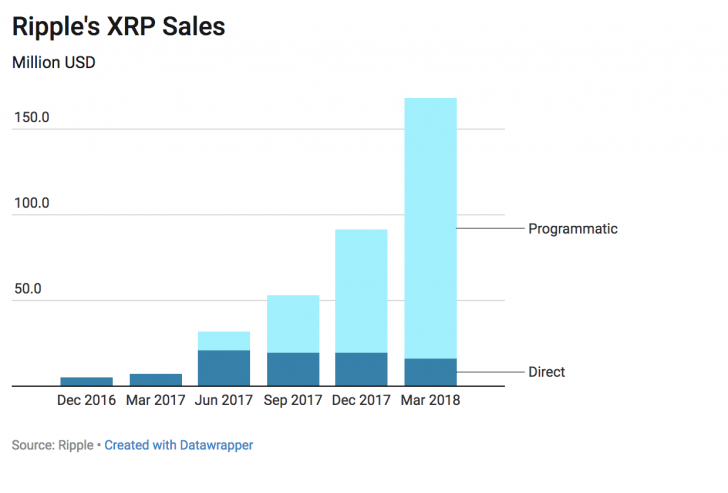 The total volume of XRP traded globally also increased markedly in Q1: volumes grew 68 percent to reach $160 billion for the period. XRP’s clout relative to the total cryptocurrency market grew in Q1, with its share of overall market volume growing from 5.3 percent at the end of 2017 to 6.9 percent at the end of March. XRP’s price took off in late 2017, rising from less than $0.25 at the beginning of December to a peak of $3.84 in early January. The token’s subsequent fall was just as steep, and within a month, it was trading at just under a dollar. At the time of writing, 1 XRP is worth around $0.82.